In order to make the most of your trip to Italy for the Milan Feis here is some extra information. Sesto San Giovanni (the location of The Milan Feis) is a 10 minute metro ride from the centre of Milan. ‘Corso Buenos Aires’ is the biggest shopping street in the city and one of the largest in the whole Europe, comprising dozens of shops offering many different genres of merchandise, with clothes prevailing. Other shopping opportunities in Milan include such luxury shopping area in Milan as Via Montenapoleone, Via della Spiga and Via Sant’Andrea. They are worth a visit if not to buy just to see!!! Lake Como is only a 30 min. train ride from Milan. Well worth a visit even for a couple of hours. Garda is the largest and most popular of the Italian Lakes. Desenzano, which is just one of the pretty towns situated on the lake, is just one hour by train from Milan. You will also find Guardaland (a large amusement park) close by. 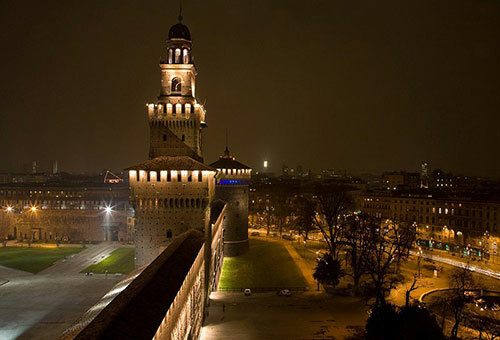 And not forgetting – Milan is only an hour an half from the sea, The Italian Rivera.